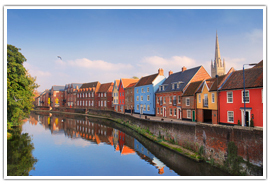 The county of Norfolk has long been a popular holiday destination for families as it offers vast expanses of unspoiled coastline as well as all of the usual seaside attractions. The landscape is stunning with plenty of walking trails and cycle ways and is home to some of the most important nature reserves in the country. The Norfolk Broads offer a unique way to travel using the canals and waterways to see all of the attractions of the county. The coastline of North Norfolk has been designated as an Area of Outstanding Natural Beauty which once you visit you will understand why. There are family oriented theme parks, sites of historical interest and plenty of outdoor activities for visitors to enjoy. Norfolk is only two hours away from London by train and around two and a half hours away by car. 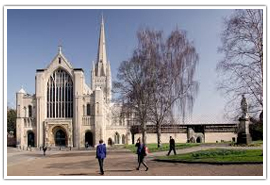 Norwich is the county capital and was once the center of the medieval weaving industry. In fact, the town’s market is still held in the old medieval marketplace. The ancient Norman castle still dominates the skyline along with the spires of the cathedral, both highlighting just how important this town was in centuries past. 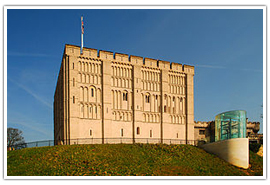 Norwich is home to the Air Defence Radar Museum as well as The Bridewell which it was once the home of a 14th-century merchant before being utilized as a prison from 1583 – 1828. It is now one of the most intriguing museums in the town. 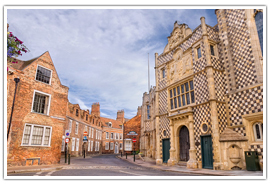 Located on the banks of the Great Ouse the town boasts a maritime connection which goes back as far as the 12th century. It was once the center for medieval trade which can be evidenced by the opulent merchant houses and other old trade-related buildings in the town. The town is home to a number of attractions including the Old Gaol House where visitors can hear tales of the county’s highwaymen and smugglers while experience what it was like to spend time in the cells which are now two centuries old. Possibly the best known of all of the seaside resorts in the county. Great Yarmouth is very family oriented with a number of attractions which are suitable for all ages. The beach is the most popular attraction of course and it stretches out for miles and miles. 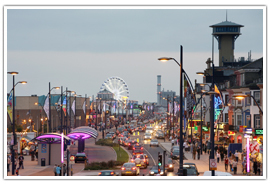 The Golden Mile of the seafront offers attractions like funfair rides and the popular Sealife Centre. Every September the town is home to the popular maritime festival which brings visitors in from far and wide. There are plenty of open spaces in which to spend time with the family, get back to nature or simply relax for a while. Part of the Queen’s private estate at Sandringham is now a country park which is open to the public, it covers almost 250 hectares and contains nature trails and woodland walks. The play area is popular with the children and no matter what time of year you visit the park offers up some wonderful natural colors which can simply take your breath away. The park is open daily and free to enter. Also referred to by locals as The Secret Garden it is located only 2 kilometers from the center of Norwich. 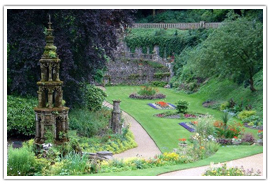 The gardens contain a large gothic fountain as well as an original medieval terrace wall, woodland walkway complete with an old rustic bridge as well as an Italianate terrace and well-maintained lawns and flowerbeds. The gardens are open daily between 9.00am – 6.00pm during summer and 10.00am – 4.00pm during winter, there is a £2.00 entry charge. 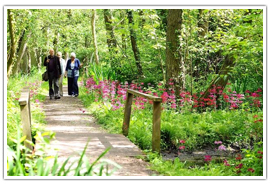 Located in South Walsham deep within the Norfolk Broads the woodland gardens cover around 180 acres and offer walks, boat trips and bird watching opportunities. The woodland is filled with ancient trees including an oak tree which is believed to be almost 1,000 years old. Garden attractions change with the seasons as so does the wildlife that you can spot here. The gardens are open daily from 10.00am – 5.00pm. The castle was originally built more than 900 years ago as a royal residence rather than for defensive purposes. Once royal occupancy ceased during the 14th century the castle was then used as a prison, finally becoming a museum in 1894. The museum houses a number of interesting collections including fine art and ceramics. Opening times for the castle museum vary with the seasons, for more information on opening times and exhibitions visit the castle website. The cathedral has stood for almost a millennia and houses many beautiful and ancient artifacts. There are more than 1,000 intricately carved roof bosses. The cathedral treasury houses a large collection of silver altar items. The cathedral is open daily from 7.30am – 6.00pm. For information about tours and services visit http://www.cathedral.org.uk. Located in Kings Lynn, the priory is one of the best preserved and largest of all of the monastic sites to be found in England. 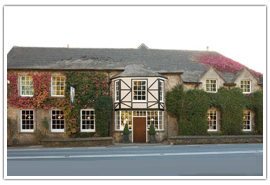 It dates back to 1090 and was once the home of the original order of Cluniac monks in the country. While much of the priory may be in ruins the monk’s herb garden has been restored to as it would have been when the monks would have grown the herbs for use in healing and cooking. 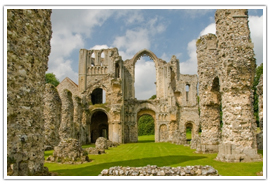 Open from 10.00am – 6.00pm daily between April and September, the Priory is closed from November through March. Visit the English Heritage for more information about opening times and tours. 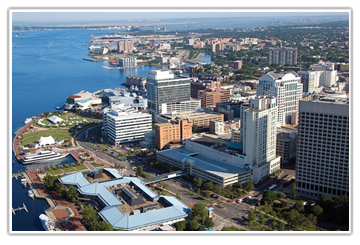 There are plenty of things to do in the county if you know where to look. 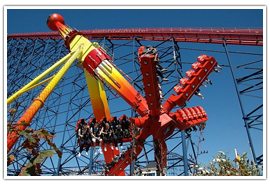 Located along the Golden Mile on the Great Yarmouth seafront is the Pleasure Beach, complete with adrenalin fuelled rides and funfair style attractions. The theme park covers a full nine acres and offers rides for all of the family. The roller coaster alone has been thrilling visitors since 1932. It is ranked as one of the top ten free entry family amusement parks in the country. Visit http://www.pleasure-beach.co.uk for more information about opening times and rides. Located in Norwich the zoo offers visitors the chance to see more than 2,000 animals housed on 50 acres of beautiful parks and gardens. Learn about your favorite animals during keeper talks and watch some of the animals in action during the daily displays. The zoo makes a great day out for the whole family. 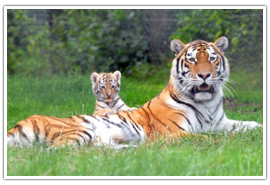 Visit http://www.banhamzoo.co.uk to find out more about opening times and prices. 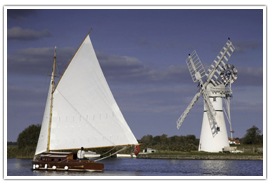 No visit to Norfolk would be complete without taking to the waters of the Broads. All kinds of boats are available for hire from self-drive motor cruisers to guided river tours. Boats can be hired by the hour or by the day and even explored by rowboat, kayak, and canoe if you have the energy. There are many different companies offering boat hire and tours, including tours using traditional historical water transport. Treat yourself to afternoon tea and relax in some beautiful surroundings. Located in Holt, Morston Hall offers the delights of a traditional afternoon tea including their unique triple-decker finger sandwiches. Served either in the walled garden, conservatory or by a cozy log fire during the winter. Afternoon tea is served daily between 3.00pm – 5.00pm see http://www.morstonhall.com for more information. 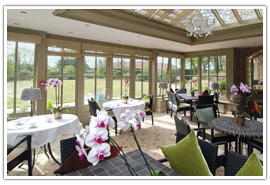 Located in Heacham near Hunstanton, Heacham Manor offers visitors a choice of sweet and savory delights for afternoon tea. Prices start at £11.95 per person and places need to be a book in advance. Afternoon tea is served between 2.30pm – 5.00pm daily. Visit http://www.heacham-manor.co.uk for information about menu options. 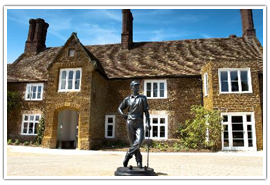 Norfolk has some incredible venues which are just perfect for celebrating your big day. Located in Swanton Morley, Dereham; Hunters Hall offer a wonderful venue for a country wedding. Choose from a large Victorian Barn or a smaller more intimate function room for your ceremony before tucking into a banquet or hog roast and dancing the night away to either live music, a traditional ceilidh or to tunes played by the venue’s DJ. 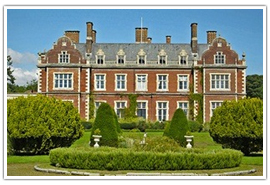 Located in Norwich, Dunstan Hall is a beautiful mansion house constructed from red brick and set within beautiful woodlands and parkland. Toast your new life on a romantic balcony overlooking the lake or enjoy a summer wedding in the outdoor marquee. The grounds will make a beautiful backdrop for all of your wedding photographs. 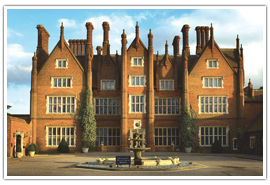 Located n Mundford near Thetford, the Lynford Hall Hotel offers stunning rooms, incredible views and a truly romantic venue for your big day. Regency styling, open fires, and crystal chandeliers all make for a truly magical celebration. This grade II listed mansion house makes a memorable impression. 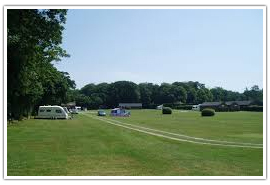 There are almost 300 campsites and caravan parks in the county to choose from. 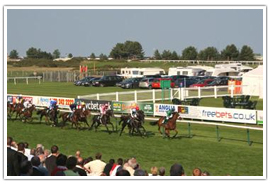 • Great Yarmouth Racecourse Caravan Club Site – Great Yarmouth, Norfolk. • Rectory Hill Certificated Site – Holt Road, Clay Next the Sea, Norfolk. • Four Acre Farm Certificated Site – Wood Norton, East Dereham, Norfolk. • White House Farm Certificated Site – Long Green, Wortham, Diss, Norfolk. 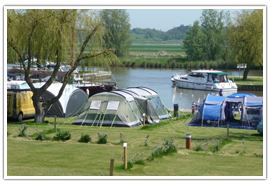 • Scratby Hall Caravan Park – Scratby, Great Yarmouth, Norfolk. • The Old Brick Kilns – Little Barney Lane, Barney, Fakenham, Norfolk. 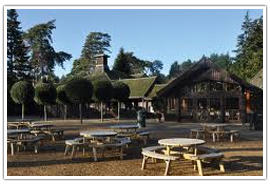 • Woodstock Farm Touring Park – Gibbet Lane, Wareham, Nr Downham Market, Kings Lynn, Norfolk.